Everything about this soon-to-be-staple-dress says “love at first sight”. We’re obsessed with fit and versatility which is why we created this one just for you; a super-comfy nursing dress that is easy to wear and perfect for every occasion. Carefully designed with capped sleeves (totally bra-friendly), perfectly placed pleats to create a contoured shape that will flatter your bump beautifully and a top layer that hides some very discreet nursing access…Oh and we have lined this one too for added comfort. 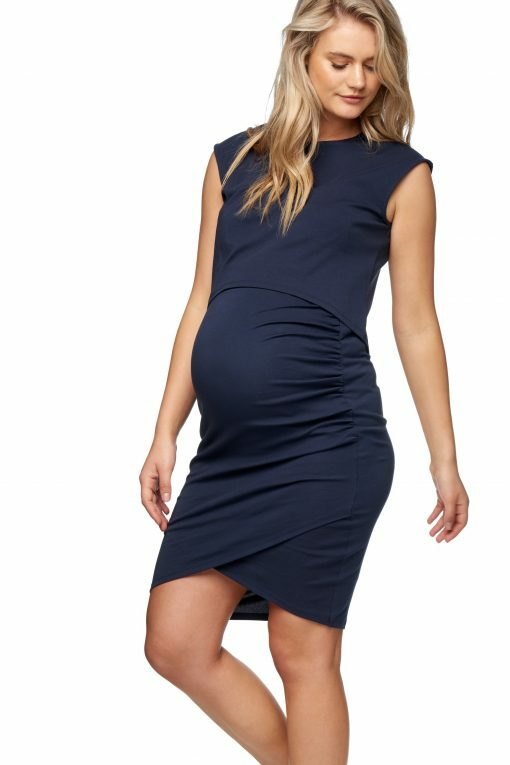 We’ve made sure that you can transition this dress from maternity to nursing and pre/post babe, what can’t this dress do! We love it with sneaks for a casual weekend vibe or dressed up if you are going out. Heads up – you’ll want to wear this one way too often.